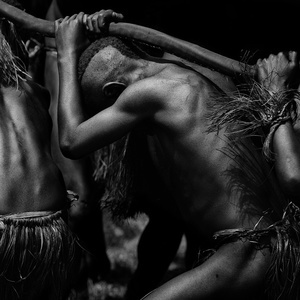 In Papua New Guinea, the impenetrability of the jungle and mountain ranges has caused over 700 tribes to develop in virtual isolation from each other. This has formed the basis for an unprecedented profusion of cultures each with their own unique traditions and language. 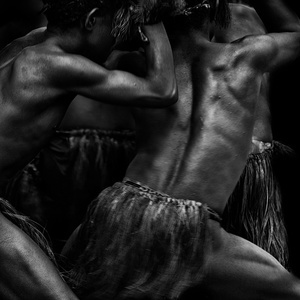 For centuries, the reputation of PNG’s fierce warriors has kept Western conquerors and – later – investors and visitors at arm’s length. 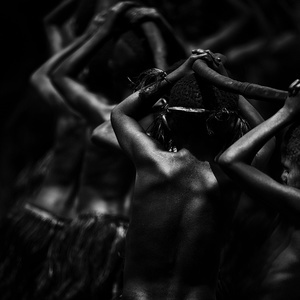 This has preserved the unique traditions of its inhabitants until today. PNG. 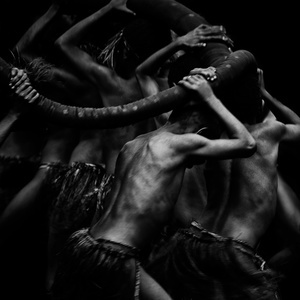 Traditional dance is in everybody’s veins and is expressed freely, often and with profound symbolic meaning. Also, this series is a tribute to the beauty, grace and strength of people still living a traditional life style in harmony with nature.